And the guy who actually sang the song is not in that picture. Steve Perry left the group ages ago. Journey Frontiers was my first not Jesus concert. Sophomore year. 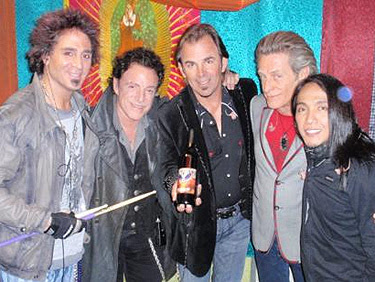 I had a free ticket to the Journey concert last year with the Phillipino Steve Perry. It' was strange. As strange as the botoxed faces in that photo.